Corporation Tax Memo shows how to organise your business activities in the most tax-efficient ways. Its detailed analysis will keep you fully up to date with all the legislative changes, new case law, HMRC Briefs and other official material. It's all you need to get to grips with this complicated subject. 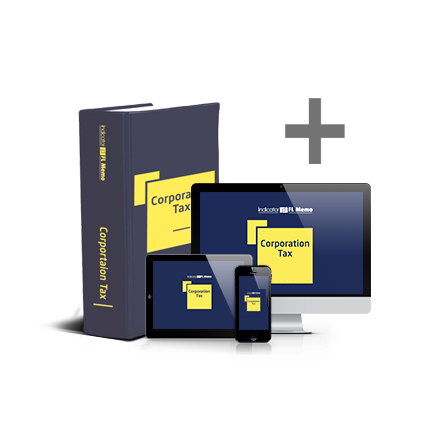 Correctly interpreting corporation tax law and its practical application can be a real problem for many professionals. But with Corporation Tax Memo at hand, you'll know just what to do and when. Easy to navigate, it will lead you straight to the answer you're looking for with the minimum of effort.